is “weighing up” a visit to London surprised me. 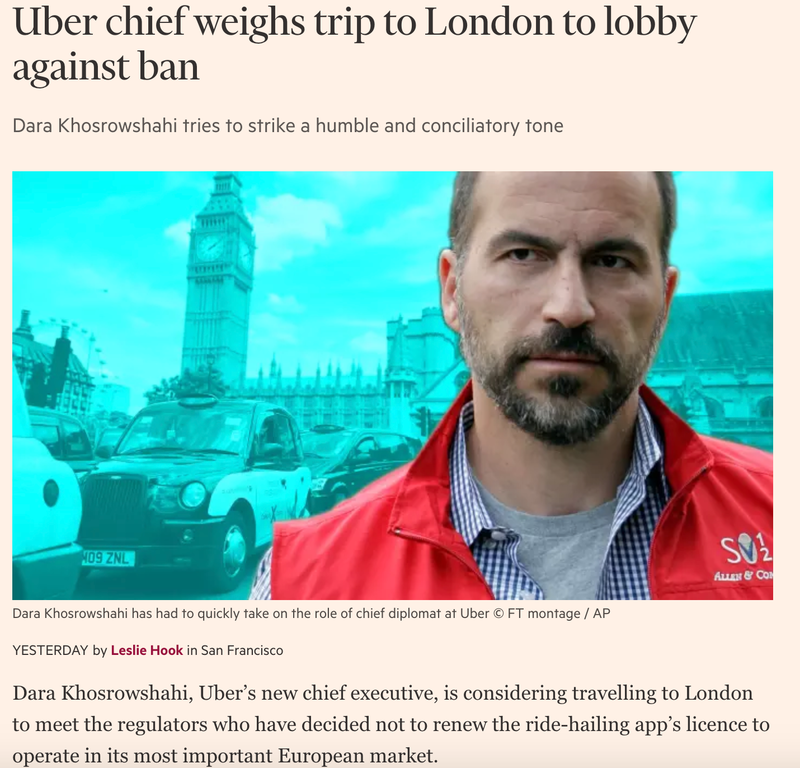 If I was the new CEO of a company in the sort of crisis that Uber finds themselves in, then I would have been on a plane over the weekend to London. 1. Users – some 3.5M users are about to lose a service they have become used to – they will be supportive up to a point but the company cannot except unlimited support. 2. Drivers – 40,000 drivers are about to lose their gig – they need to hear direct from the CEO what he is doing about it. 3. Transport for London – there have been reports that even though there is a legal process underway, they are open to meeting him. What would you do – would you have arrived in London already to sense the mood from these three constituent groups, and would you be adopting a “wait and see” approach?